I’m curious – how often do you guys practice yoga? Right now I’m doing a 30-day Instagram challenge with yoga superstar Rachel Brathen of @yoga_girl. 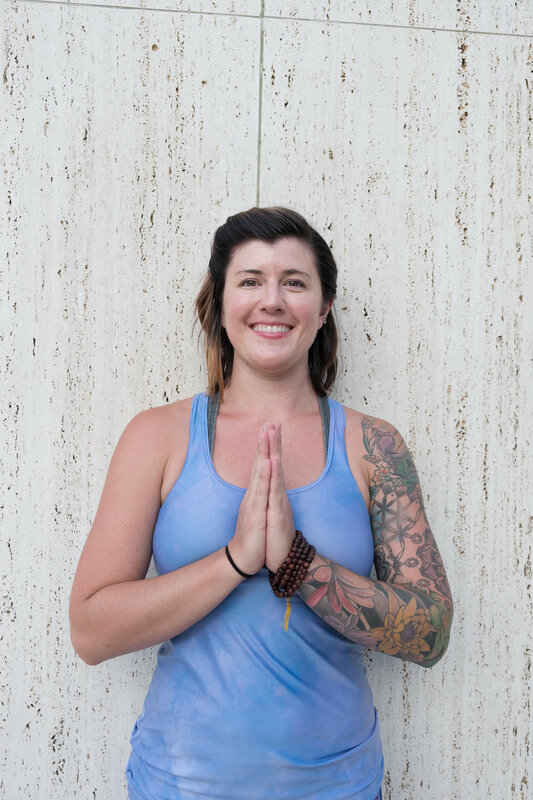 She’s having us practice every (damn) day and reflect on our experience, whether that includes asana (poses) or another form of yoga, such as meditation or simply having a mindful approach to the day. I love how part of Rachel’s yoga practice is motherhood; simply being a loving mom to her new baby is a powerful form of ahimsa, which manifests as compassion and patience. She sets an amazing example of how yoga is part of our relationships, not just a physical practice held in a yoga studio. These two photos via Rachel Brathen on Instagram, @yoga_girl. So far I’m finding that being a part of the #yogaeverydamnday challenge is very encouraging! It’s fun seeing everyone’s posts, and feeling like I am part of a wonderful international community of yogis. It has also been eye-opening to think of my practice in new ways. In addition to rolling out my mat each day and moving through postures, I find myself noticing the little ways that yoga is a part of my life in everyday moments. Saucha: my morning rituals like dry skin brushing and abhyanga self-massage with oil, and taking the time to get a pedicure over the weekend. Satya: being honest during a conversation with a friend, instead of shying away from the truth. Aparigraha: letting go of negativity, releasing attachment to a pose I’m working on (hello, handstand!). Tapas: the dedication it takes to make time for myself each day, of honoring ‘me time’ on my mat. So, whether you’re rolling out your mat 30 days in a row, or simply incorporating yogic principles into your day-to-day routine, I see you. I’m proud of you. And I commend you for your dedication to your practice. PS Check out more of the posts from the #yogaeverydamnday challenge for some inspiration for your next practice! There are over 10 million posts with the hashtag ;) Or, if you're feeling too tired to practice, read this blog post. Photos in this post by Sequoia Cipes of Echoed Memories Photography, featuring yoga gear from Inner Fire.